1. 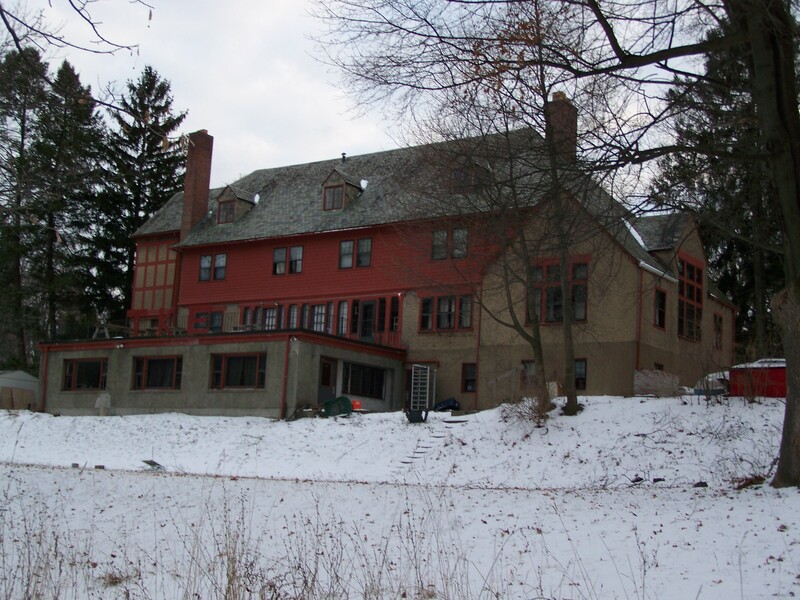 The Chapter House project is finally beginning the first stages of design review with the ever-stringent (or picky, pending your view) Ithaca Landmarks Preservation Council. As seen in the render above, gone is the fourth floor, and gone for now are plans to build a new structure at 408 Stewart, after some members of the ILPC expressed opposition to a tear-down, even though the exterior has been butchered and the architect called it a “fire trap”. The committee also had disagreements over which version of the Chapter House is more historic, the original ca. 1903 design evoked above, or the 1920s renovation that everyone remembers. 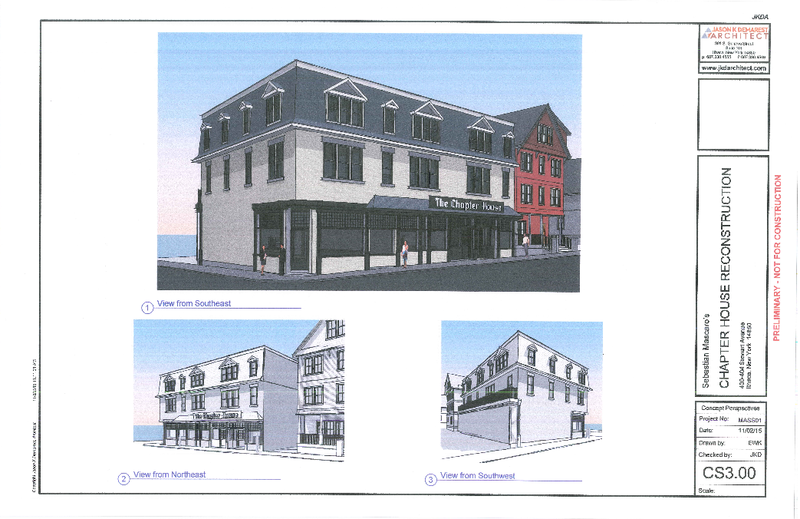 The September minutes showed intent towards the four story design seen previously, but the design shown above is three floors – whether that be to the committee’s persuasion, or concerns over a zoning variance isn’t clear. It might be in October’s minutes, but those haven’t been approved, and are therefore not available yet. Also at Tuesday’s meeting, the committee is planning “Property Condition Review and Potential Action” for the decayed carriage house at 312 West State Street. 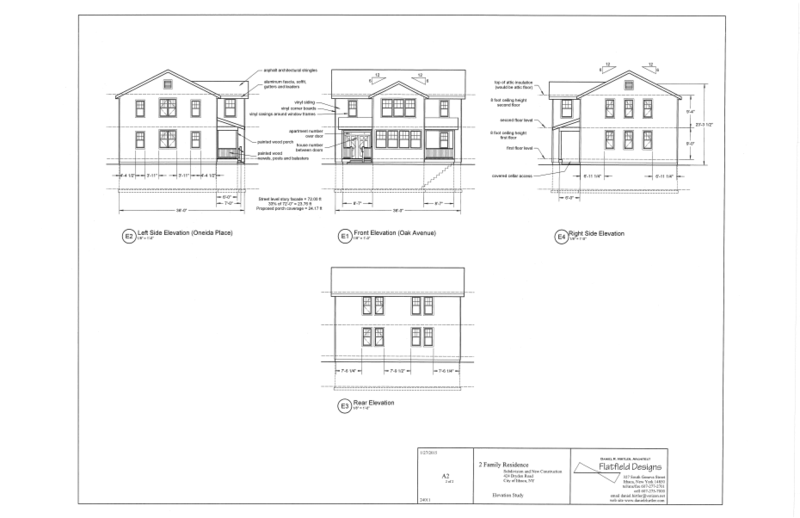 The board was also set to provide “Early Design Review” for a project at 315 North Cayuga Street, probably some kind of renovation/restoration of the First Presbyterian Church, but the item has since been pulled. 2. Wait long enough and history repeats itself. 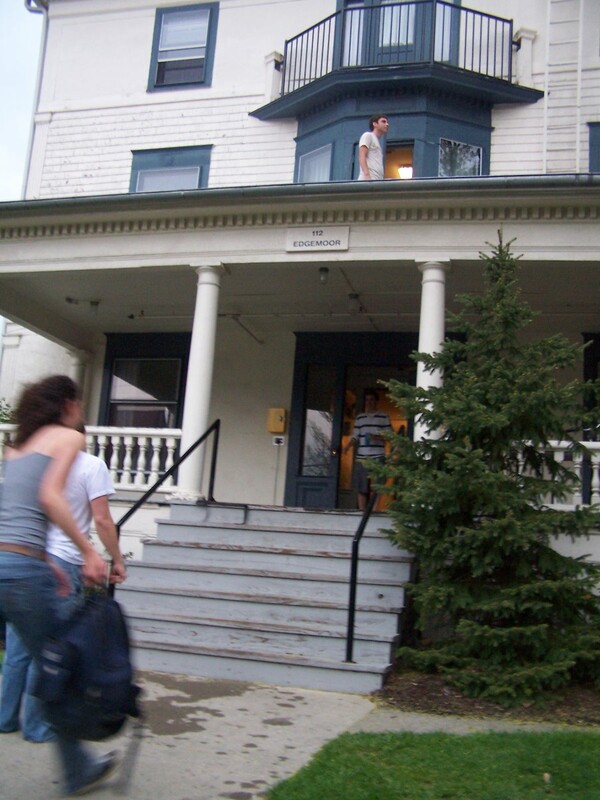 In March 2009, I did a post called “Warren Real Estate Tries to Sell a Frat House“. It looked at 210 Thurston Avenue in Cornell Heights, when it was on the market for $950,000. 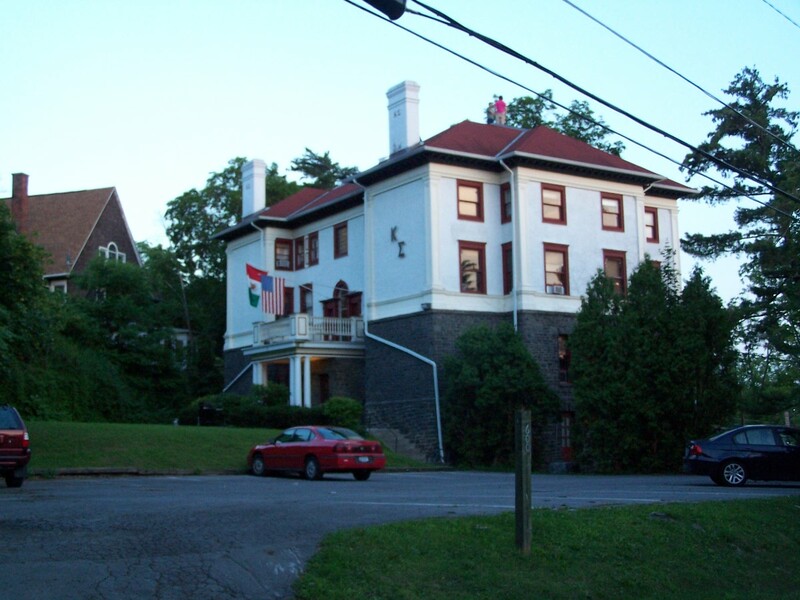 The house has historically been a Cornell fraternity house, built around 1900, re-purposed not long thereafter for the Delta Sigma Phi fraternity until WWII, when the brothers left for service and the chapter never reopened. 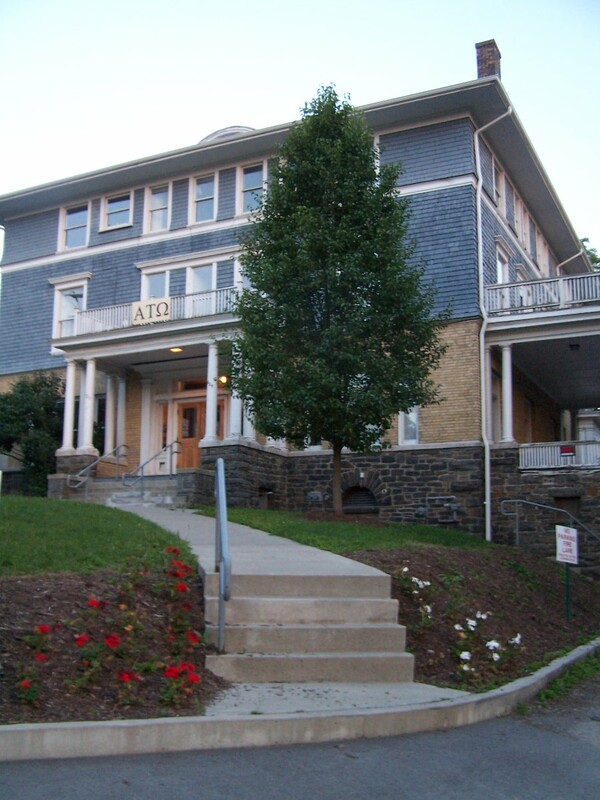 It was then used by other GLOs over the decades (Alpha Omicron Pi in the 1940s, Sigma Alpha Mu from the late 1940s to early 2000s, and Phi Delta Theta’s annex in the late 2000s). After sitting on the market for a couple of years, the house sold in December 2011 for $677,500 to an LLC representing the wealthy parent of a Cornell wrestler, who had the house renovated for the team in 2011/12. The legal occupancy increased from 33 to 40 persons as a result of the reno. So now it’s on the market again, this time for $2,750,000. That must have been quite a renovation. An open house will be held 1-3 PM this Sunday. 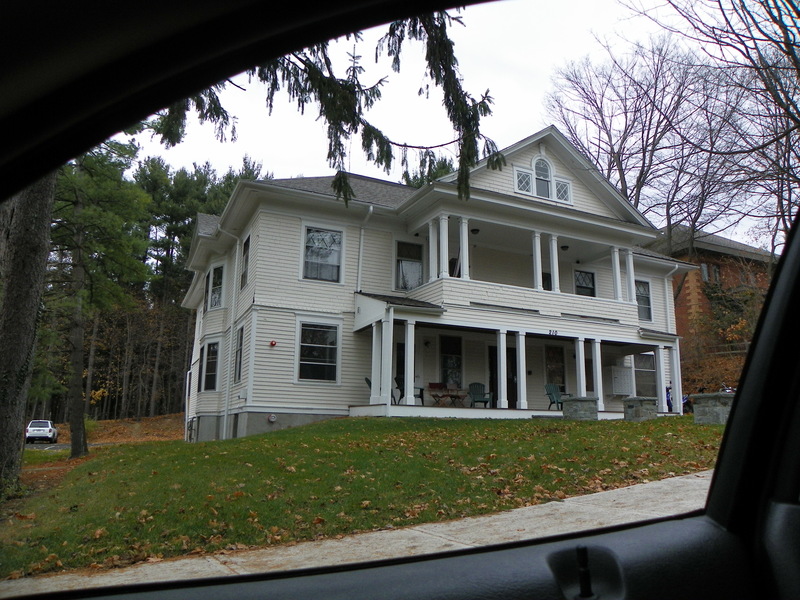 I’d recommend it to the Phi Mu ladies given their recent rejection by Cayuga Heights’ zoning board, but the asking price is almost four times the house they were looking at 520 Wyckoff. The house on Wyckoff was also intended for 16 occupants rather than 40. Oh, and I suppose those urinals the owners installed would be a bit out of place. We’ll see what happens. This one could be on the market for a while. Again. 3. Also new to the market this week, two parcels in the town of Ithaca that have the potential for development. The first, 1564 Slaterville Road. 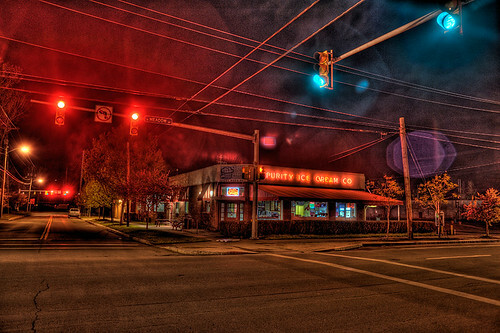 The sale includes four parcels – 1564 Slaterville Road itself, a 19th century home on 1.52 acres, and the other three are vacant parcels with frontage on Slaterville Road and Park Lane, which serves as an entrance to the Eastern Heights neighborhood, and has seen a number of higher-end single-family homes in the past several years (there have been plans for a 16-lot housing development on the adjacent land to the north, but nothing has been approved). Altogether, the sale comprises 9.2 acres of land, on the market for $995,000. The properties are valued at $297,300 total, so if the owner is asking such a high price, either they’re delusional, or purposely going after developers. The land currently falls under Ithaca town’s Medium-Density Residential (MDR) zoning, which is single-family homes and duplexes only. The Comprehensive Plan calls for “Established Neighborhood” use, with an average of 2-4 units/acre, either homes, townhomes or apartments (sensitive to neighboring uses), and the possibility of low-intensity commercial (home office). Expect any potential form-based code to accommodate those details. The other parcel up for sale is 969 East Shore Road, one of the few properties in the town’s lakeshore exclave. This one is also asking a huge premium, $1.45 million for a 2.09-acre property assessed at $300,000. The property was used as the headquarters for the John C. Lowery construction company until they moved to Freeville; it had been built in the 1960s for a chemical company. The seller, the CEO of a local manufacturer, picked up the property for $300,000 in December 2013. Although it falls under the town’s Lakefront Commercial (LC) zoning, which in itself says only marinas and wind turbines are okay, special use permits allow for mixed-use, hotel, and other non-water options. 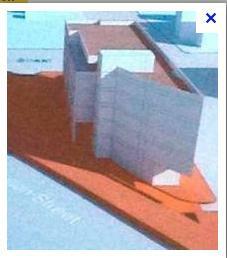 Like the Slaterville parcel, this one also falls under the “Established Neighborhood” use guidelines. If they sell, and it bears mentioning, it’ll be mentioned in a later news roundup. 4. It’s house of the week. 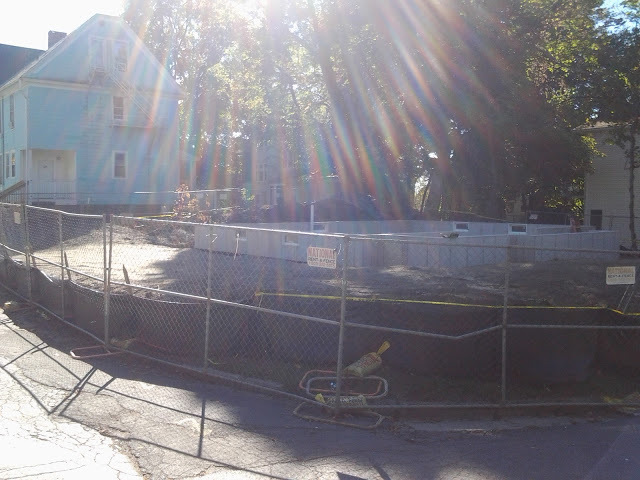 This week, 319 Oak Avenue in Collegetown. The lot was created by a subdivision of the existing lot, 424 Dryden Road, in February of this year. 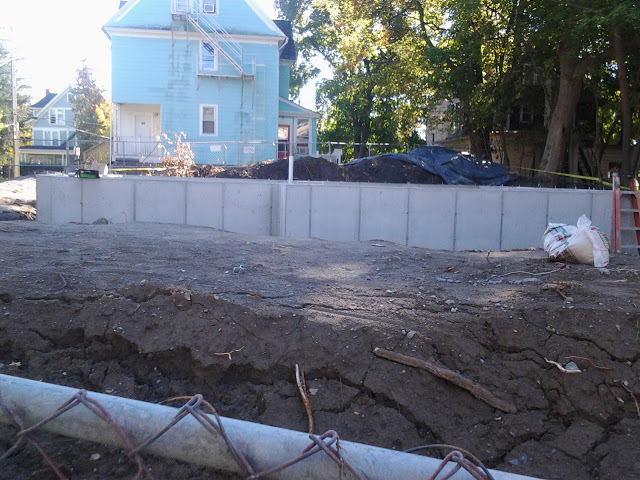 What was once a parking lot is now the foundation for a duplex with 3-bedrooms each. 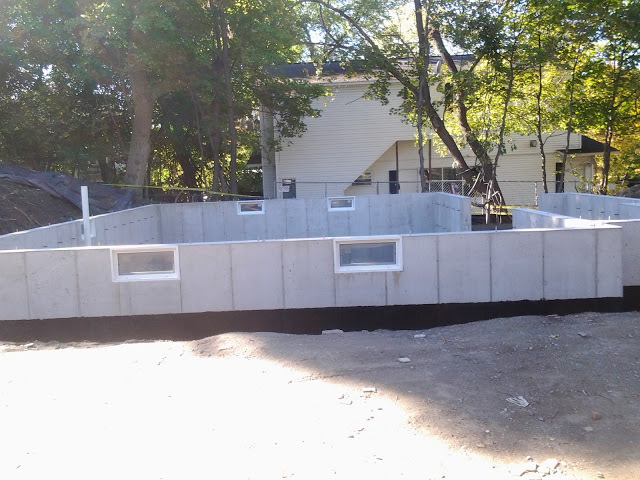 Foundation and stem walls have been poured and cured, and given that this photo is a couple weeks old, the foundation has probably been backfilled already, and rough framing may even be underway. The site falls into the CR-2 Zone of the Collegetown Form District, meaning 2-3 floors, and pitched roofs and porches are required. The architect is Daniel Hirtler of Ithaca, and the developers are William and Angie Chen, also of Ithaca. A Lansing technology firm will be seeking sales tax abatements this month as part of a planned expansion project. Advanced Design Consulting USA (ADC), located in a 15,000 SF facility at 126 Ridge Road in the town of Lansing, has submitted an application to the Tompkins County Industrial Development Authority (TCIDA) for review at their November 12th meeting. The company is applying for a one-time sales tax abatement on the cost of construction materials, and is valued at $54,880. ADC specializes in the design and manufacture of high-precision scientific instruments, especially those used in physics research. The firm states in their IDA application that their small size has limited their ability to gain large contracts, and it is necessary for them to expand in order to expand their business. The 5,000 SF expansion is valued at $910,000, and would retain 14 jobs and create 7 additional jobs in their Lansing facility, with a median salary of $40,000. If approved, the expansion project would be completed by June 2016. With the expansion, ADC’s revenues are predicted to increase from the current $2 million, to $2.7 million in three years. The company did not commit to local construction labor in their application. In an interview in 2014, ADC President Alexander Deyhim explained that the company declined a business incentive to move to Oak Ridge, Tennessee because of Tompkins County’s high quality of life, and proximity to Cornell’s nano-fabrication facilities. 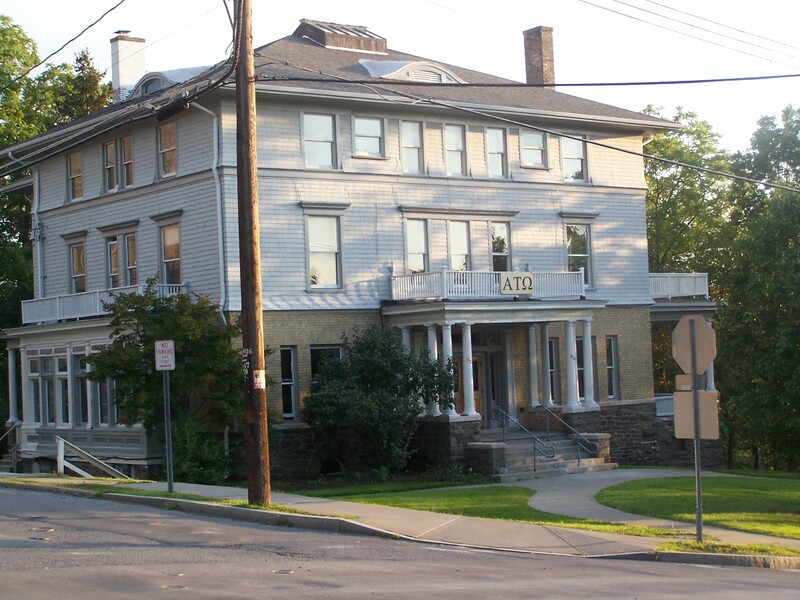 For ADC, which was founded in Tompkins County in 1995, it will be the third expansion in twelve years. The company had previously applied for and received tax abatement approvals for a larger, 20,000 SF expansion project, but according to the current application, the firm reassessed its needs and decided to go with a smaller plan for the time being. The original abatement was never utilized. Supplemental documents indicate the town of Lansing has approved the physical plans for the expansion. So does one force the company to use local labor, or does one risk turning the company down and sending the whole operation to Tennessee? Tax abatements are hardly ever a black-and-white decision.